Great excitement – you have a website which looks stunning but no-one told you the ins and outs of getting your website noticed by our good friends, the search engines and how to get website traffic. Today’s blog post is about driving traffic to your fabulous business idea and seeing the results of your investment of time and money. 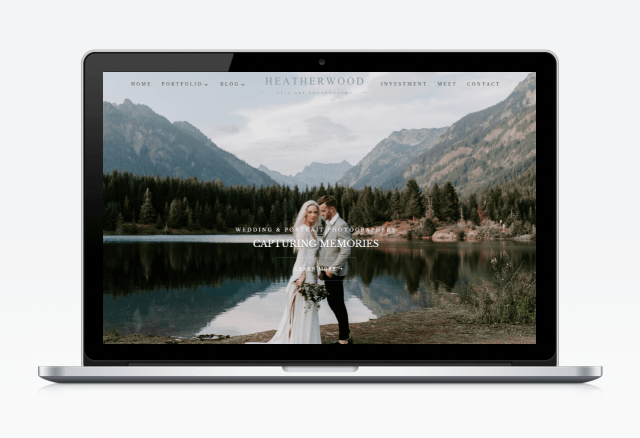 The answer is simple, you need a blog! A blog that creates new content in line with your business idea and you need a plan of action. 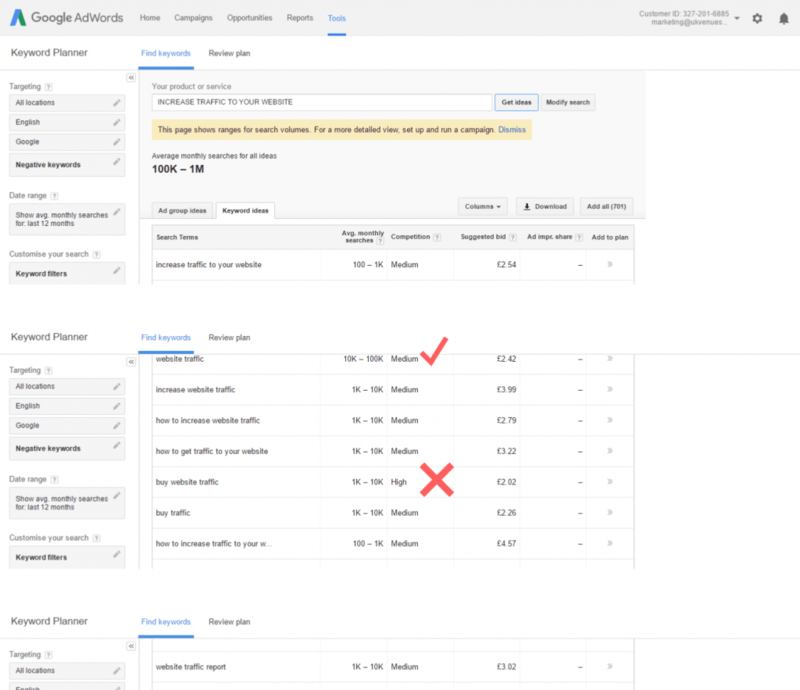 Our good friends, Google and Bing love new content and the only way to get your website in front of potential clients is to publish new content. Let’s look at some of the ways on how to generate website traffic. When writing new content, speak with authority. People who visit your website are looking for information. The internet is a place of information and your blog topic should offer the reader quality answers to they information that they are searching for. You are the expert in your field, right? So, write your copy using your personal knowledge of the particular subject and use the tips and tricks you have found useful in your experience. Research your topic , but do NOT copy word for word content from other websites – doing this is called plaguerism and your website will be penalised, so always bear this in mind when writing your copy. Always be mindful of the correct grammar and spelling. Make sure you have checked and double checked your content before publishing your post. There is nothing worse that the grammar police leaving a jarring comment on your blog post for all the world to see. Try and make your blog post count in terms of word usage. I try to make my blog posts around 1500 words, but bear in mind that too long a post will bore the reader and chances are they will leave your website, which is not what are aiming for. You are wanting your website visitor to engage with your content and get value out of reading your blog post. Tip #1 and #2 work hand in hand. Key word planning is essential to driving website traffic to your blog post. 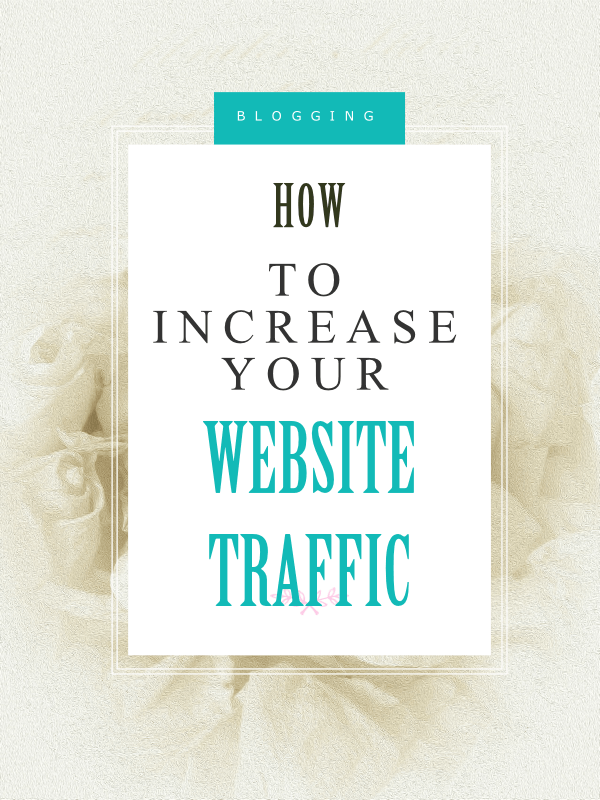 I am using the phrase ‘Increase traffic to your website’ as the key phrase and ‘website traffic’ as the particular key words for this particular post. To find ‘key words and phrases’, I use Google Keywords Planner. It’s free and so easy to use. On site optimisation refers to the actual blog post optimisation. I use the Yoast plugin which gives me a very good guideline to ensuring my post meets SEO criteria. (Search Engine optimisation). Briefly, Facebook offers you the opportunity of having a dedicated business page, which is super fab as the followers of your page are interested on what your business has to offer. Groups are fundamental to growing website traffic as there are groups dedicated to helping you increase your following and they also offer expert advice on website design, traffic growth, social media hints and tips. You need to keep in touch with your readers and keep them informed of new content that you post. The people that sign up on your sign up form are genuine followers – they like what you have to offer, so write a weekly newsletter to your subscribers giving them helpful tips, tricks, news and updates that is happening in your business. You can create different sign up forms for different offers. So say for example you are about to offer a course in website design, you can target this email sign up only for those subscribers that are potential clients – super fab, hey? Or you can get people to sign up with a freebie you are giving away. This type of marketing channel makes it easy for you to know what your audience is interested in and the whole point of having a blog is to keep the reader engaged in your business. There are tons of freebie ideas that you can offer. This also works hand in hand with creating a subscrbers list. Everyone loves a freebie! You can use your indepth knowledge here about your expert knowledge. I am going to be offering some free layouts for example and I am also going to be designing a ‘how to’ course offering some free information on website design. You can really use your imagination here – you may feel that you are giving away your knowledge for free, but you aren’t in the bigger picture sense. What you are doing is making people aware of your expertise in certains fields and you create authority by showing people what you can do, so her you can really let that imagination of yours run riot. People love to learn and online courses are the next best thing. Easy to learn content is a super way to engage with your audience and share your expertise. You can hold podcasts, webinars, use Facebook live to really connect with your audience and whats more, you can sell this information that you are offering to your followers. In conclusion, there are tons of ways to generate traffic to your website and these are just a few short examples of how you can do it. If you want to read more in depth information on a series of blog posts I am creating, sign up to my news letter below. I will also be including some freebie giveaways and that can’t hurt, now can it?